Have you always pictured yourself shining on stage? 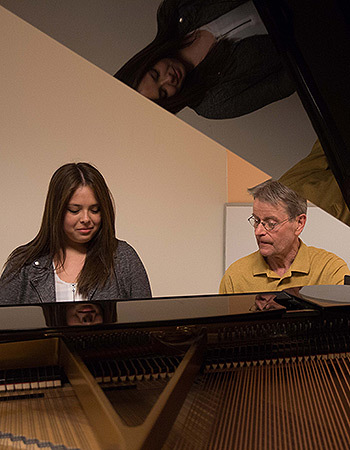 Fine-tune your raw talent with a conservatory-based education at RVCC. Students of our Arts & Design Program create vivid visual portfolios and winning audition pieces. With these assets, they move on to some of the country’s top arts performing programs and go on succeed in talent-based careers. Our graduates have continued their education at such prestigious schools as UCLA, NYU, Parsons School of Design and Berklee College of Music. 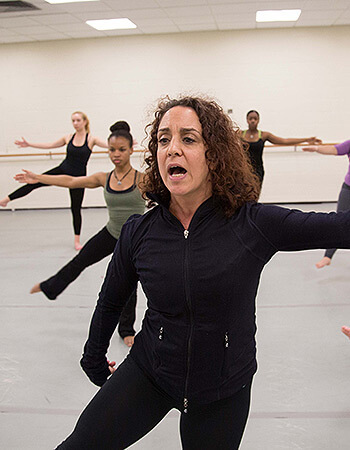 Our prime location just an hour outside both New York City and Philadelphia gives us access to teaching artists with coveted experience in the field. Turn your passion into a career with a Arts and Design education at RVCC. 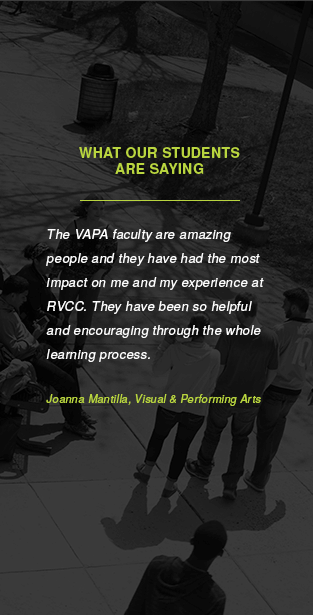 RVCC’s Arts and Design department cultivates top-notch talent in an academically rigorous environment. Embrace a creative and challenging education among a community of likeminded peers. Gold Dragon Studios; Game Design Founding Partner, Creative Director and Content Designer - Greenman Creative; Designer and Creative Consultant - Aspect Arts; Direction and promotion/branding of all projects including media, design photography, and music. Raritan Valley Community College Foundation College Community Fund Grant for the Of Rice and Spice: The Asian American Experience exhibition in the college Art Gallery, 2013; State/County Partnership Local Arts Program Grant from the Somerset County Cultural & Heritage Commission and the Raritan Valley Community College Foundation for the No Country is an Island: Issues of Freedom and Diaspora in Caribbean Art exhibition in the college Art Gallery, 2005; Lynd Ward Memorial Purchase Prize, Hunterdon Museum of Art, Clinton, NJ, 2006; New Jersey State Council on the Arts Artist Fellowship recipient for 2001; Northeast Prints 2001 Purchase Award, Ben Shahn Galleries, William Paterson University, Wayne, NJ. For a complete listing of VAPA events, click here.